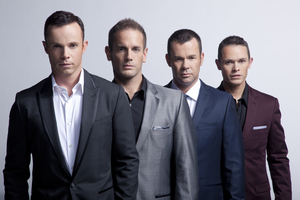 In the 25 years that Human Nature, Australia's leading pop vocal group, have been together they've had five No. 1 albums, sold millions of records around the world and collected close to two dozen Top 40 hits. Since 2009 their dazzling Motown tribute show presented by Smokey Robinson has delighted audiences in Las Vegas. While much has been written about the group, little is known about the individuals who make up the soulful harmonies. In one of his first American, solo interviews, Toby Allen is opening up about his sexuality and his family. Aside from Human Nature, Allen has performed in London as the emcee in Cabaret and in Australia as Kenickie in Grease. Still, like the others in Human Nature, he always returns to the group. Although he likes to tease the key to their success is that they don't sleep together, in truth he said it's their bond that has kept them together all of these years. "We were just friends in high school and doing musical things. We were all mates before we began singing together. Then we found something we love doing together, and we still love doing it today," Allen said. Having once worked as a perfume salesman, Allen said if singing hadn't worked out he was studying to become a geologist. As a kid he enjoyed playing soccer and tennis and riding horses. 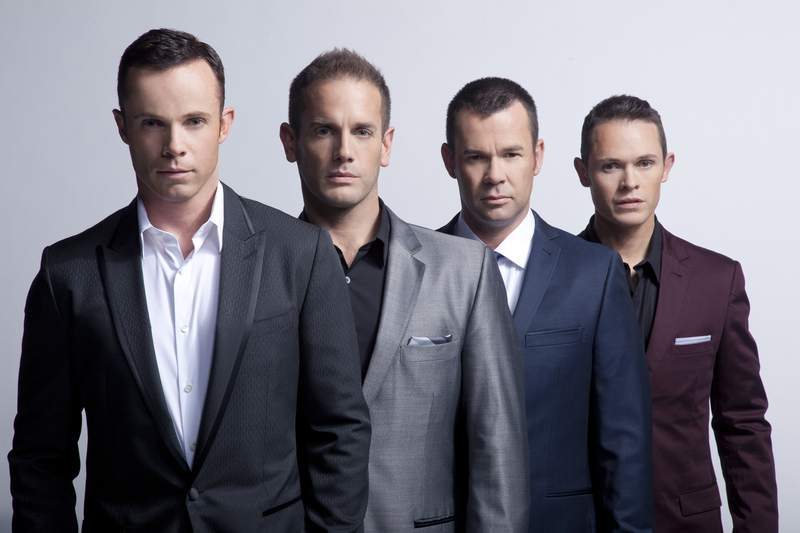 Now as the father of two-year-old twins, Harvey and Roxanne with husband, actor Darren Weller, Allen is not only keeping active in Las Vegas, but is embarking on an Australian tour with Human Nature to celebrate their new album, Jukebox, and their 25th anniversary. Over the years you have traveled all over the world. Do you recall your first trip to the U.S.? I remember in '91 we were on our way to London, and on the way back we stopped at Disneyland. It was exciting. We grew up in Australia hearing so much about the U.S. and were exposed to the culture through TV and movies. We actually went to a ballgame on an early trip to the U.S., as well. I remember seeing a Lakers game once. We don't have that scale or style of sport in Australia. For those who aren't familiar with you or Human Nature, how would you describe yourself? I can sometimes come across as a little shy. Once I get to know people I get much more gregarious. I might be more reserved on stage than I am in social situations. What's it like being a father? It's awesome! Exhausting. Fun. It's everything and better than anything I ever thought it would be. Did you always know you wanted to be a father? I had an inkling that I would be. I didn't know how it would happen or what I'd have to go through to do it. When you met Darren at a charity tennis game in Sydney in 2005, was it love at first sight? It felt like it. He introduced himself, and there was definitely a connection. Then the following days and weeks after we discovered more about each other. It was really obvious that there was something special there. It was a thrill. You told New Idea magazine in 2013: "I think a lot of people knew I was gay, but it never became an issue, which was really lovely. I haven't hidden away from it, but I haven't searched out that publicity either." Was there ever any hesitation in the group for you coming out? No, not at all. Initially we just wanted people to focus on our music. After a while all of the guys were incredibly supportive and sexuality was a non issue. Was it always easy for you to be open with your sexuality or was it a struggle? There are so many different situations and everyone has their own struggles, I guess. I was at a boarding school and being into music, I was sort of a natural target. At the same time I was discovering more about myself, so I really wasn't out at school. In fact, it wasn't until I went to university and was exposed to other ways of life that I felt more secure to go out and be more myself. Luckily I had a loving family who loved me for who I was, so it was sort of a non issue. Most people said they knew anyway, which I am sure happens a lot. I didn't struggle so much. Maybe when I was in school, but there wasn't much of a struggle after that. I feel bad for people who do struggle, and I hope they can find someone who can be a support. I want to ask you a few quick questions so people can get to know you better. What is one thing you can't travel without? Now it's my children. I'm notorious for being a gadget buff, so I love my Gameboy and that sort of stuff. Also, my phone and iPad. What is one CD you can't live without? That is a tough question. Prince's The Gold Experience. That's probably my favorite. Margo Kidder. She was Lois Lane in the Superman film. I was a young, young kid, and I remember having a crush on her. Are you and Darren planning on having more children? We've thrown the idea around. Our relationship with our surrogate was happy. She comes to Vegas, and we visit her. Now when I think about it, I just feel tired. Having twins is a whole other ballgame. We are so blessed to have a boy and a girl. There is still time, though. There are still embryos there. Right now we're probably just going to enjoy what we got. Other than your children, what are you the most proud of? The fact that we [Human Nature] are still together doing what we love. There are not many groups that manage to survive that long.